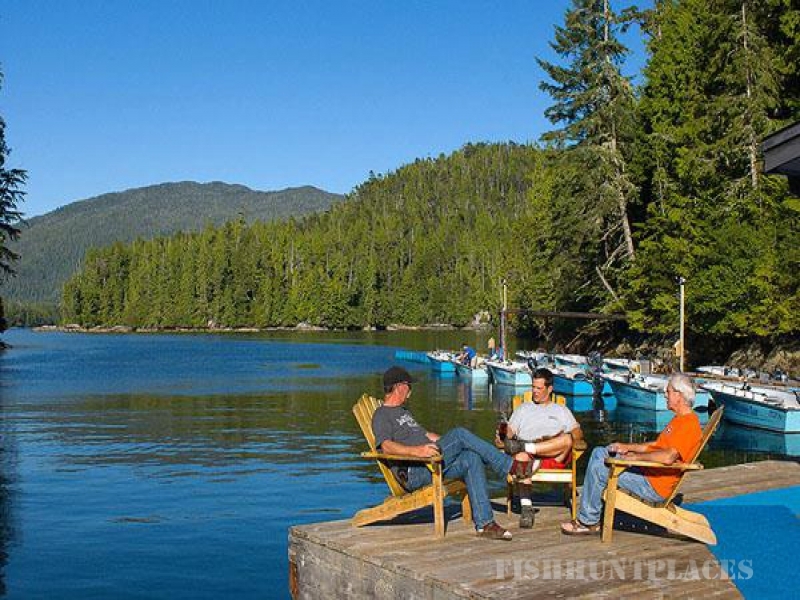 The Sportsman’s Club has some of the finest trophy salmon fishing BC has to offer only minutes from our dock. 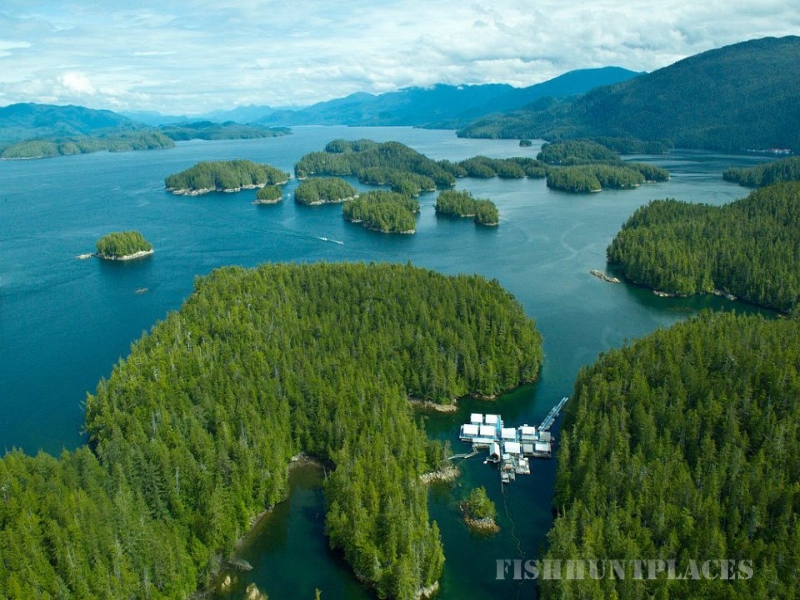 Our floating lodge sits just around the corner from “The Wall”, one of the world’s richest fishing grounds for Pacific salmon. BC Salmon Fishing LodgeWe are located at the mouth of Rivers Inlet 300 miles north of Vancouver BC Canada. 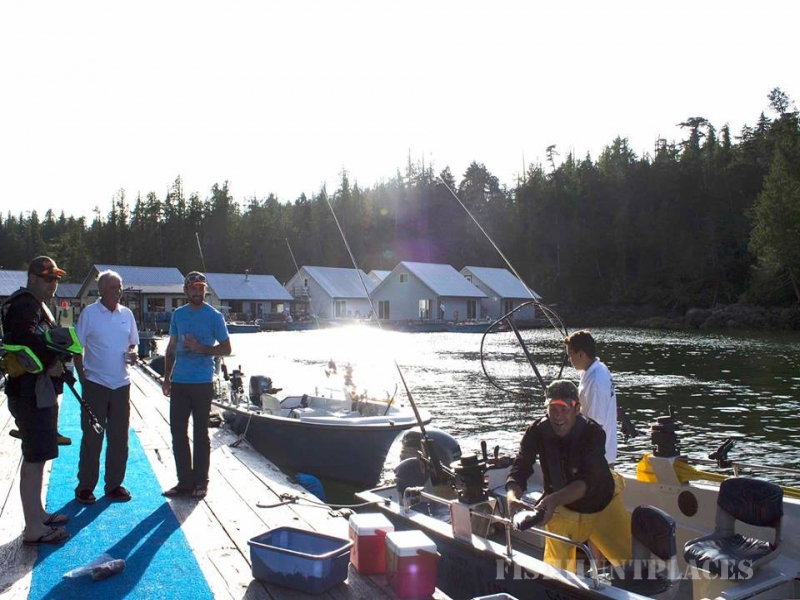 Our location offers guests the opportunity to fish for salmon returning specifically to the many rivers in our inlet, as well as salmon migrating to the hundreds of river systems down the west coast of North America. As a result we has some of the most consistent salmon fishing on the entire coast ... we are on the salmon migration "highway". 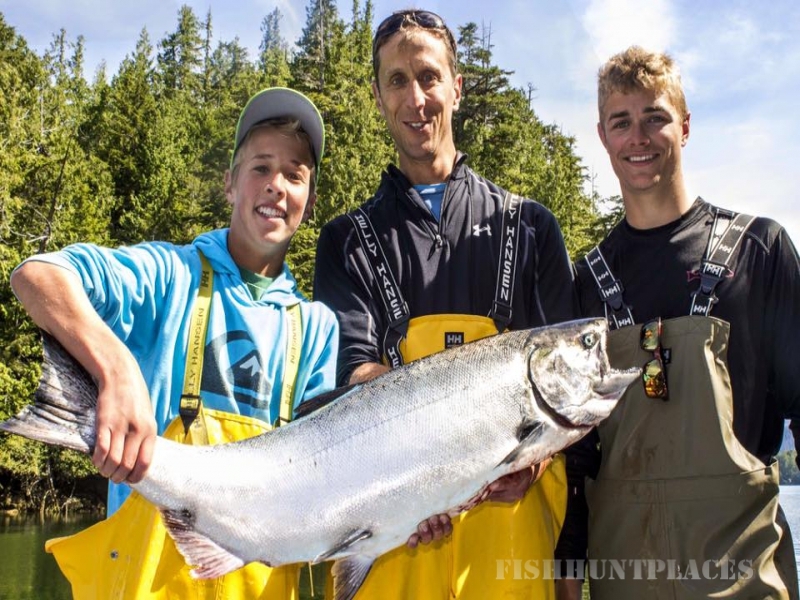 Rivers Inlet is famous for hard fighting, ocean bright, trophy size Chinook salmon (kings) and coho salmon (silvers). Typically each summer the largest Chinook and coho salmon caught anywhere on the entire coast are caught in the waters of Rivers Inlet. 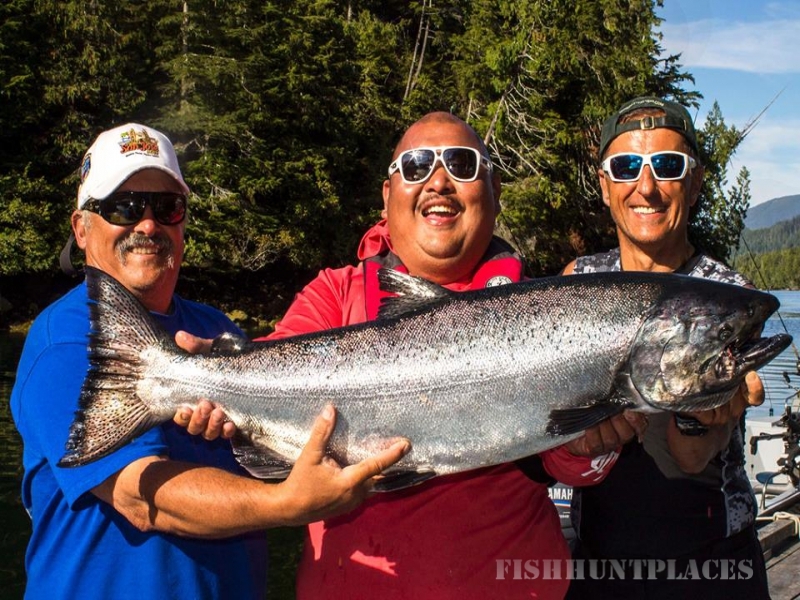 Our camp record for Chinook salmon is 72 ½ lbs. and for coho salmon is 24 lbs. Rivers Inlet has more than the finest salmon fishing BC has to offer. There is also excellent bottom fishing for halibut and lingcod. Our camp record for halibut is 162 lbs. and for lingcod, 38 lbs.